Moringa (Moringa oleifera ) originates from India, but is now grown in tropical regions worldwide. It has traditionally been used to treat and prevent diseases, including: cancer, constipation, diabetes, chronic headaches, thyroid disorders, inflammation, heart disease, anaemia, arthritis, epilepsy, respiratory, skin, and digestive disorders. Scientific research is now confirming many of these traditional uses. 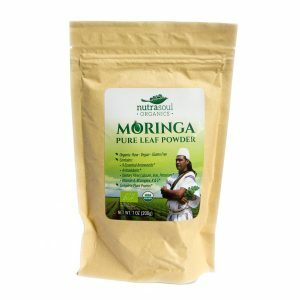 Moringa is a complete food – rich in protein, carbs and essential nutrients and amino acids. Moringa is one of the few plant-based foods which is a complete protein, giving the body all nine essential amino acids. The seeds are pressed to make a valuable oil which also has many therapeutic qualities. Read about the oil here. 18 amino acids including all 9 essential for human health. about 40 antioxidants that contribute greatly towards healthy tissues and skin. calcium, potassium, copper, iron, zinc, magnesium, silica and manganese. vitamins A, B, C, D, E.
sulphur compounds, the key ingredient for collagen and keratin which give the skin softness, and strength. When the fresh leaves are dried the nutrient concentration increases. It takes nearly 1kg of fresh leaves to make one of our 200g bags of dried powder. No adverse effects have been reported in any scientific studies to date. It has been used around the world as a food and medicine for centuries without reported ill-effect. Moringa, along with a healthy low-carb diet, may be beneficial in helping to treat type 2 diabetes. Studies have shown that Moringa can help stabilise blood sugar levels, both for diabetics and those considered pre-diabetic. Several studies have shown 20%-30% reduction in fasting blood sugar levels for type 2 diabetic patients taking moringa oleifera leaf powder. Studies have shown that moringa leaf extract can help to reduce cholesterol and other blood lipid measures by up to 14%. Taking 1tbsp per day of the powder was enough to show a significant effect. Inflammation is linked to many chronic diseases. Moringa leaves and seeds contain 36 known anti-inflammatory agents. Studies have shown moringa to exhibit potent anti-inflammatory properties, while other studies show improved wound healing. 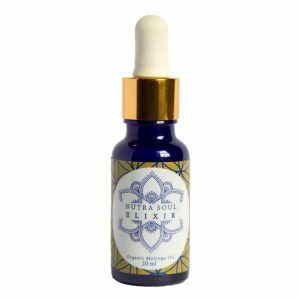 The oil is also highly beneficial to the skin and has been shown to promote tissue repair. high concentrations of polyphenols and antoxidants. These help protect the liver from oxidative stress and toxicity. methionine, a sulfur-containing amino acid, which has detox and anti-inflammatory effects. zeatin, a powerful plant hormone which affects the cell division and aging process. Various studies have reported a high free radical scavenging activity, improved lipid levels, and decrease in DNA damage. These properties make moringa very beneficial for the skin, and general tissue health. Moringa extract has been shown to be effective in preventing diabetes-induced dilation of retinal vessels and the associated inflammation and retinal dysfunction. Another study showed that moringa was effective in preventing cataract damage to the lens. Studies have shown a a natural immune boosting effect. It also has natural antibiotic properties without damaging gut health. Moringa leaf has traditionally been used to treat gastric ulcers. Unlike over the counter antacids, moringa does not suppress stomach acid, necessary for promoting good digestion. It seems to help with bloating and general stomach disorders too. In studies, Moringa was able to reduce the severity of ulcers and overall inflammation, compared to controls. Studies have shown a beneficial effect on the hormonal issues resulting from decreased estrogen production in postmenopausal women. The women also had lower fasting blood glucose levels, improved cholesterol, and an increase in haemoglobin. The functions of amino acids in the body. – gives a summary of much of the current research in many different health areas. I have quoted extensively from it in this article.